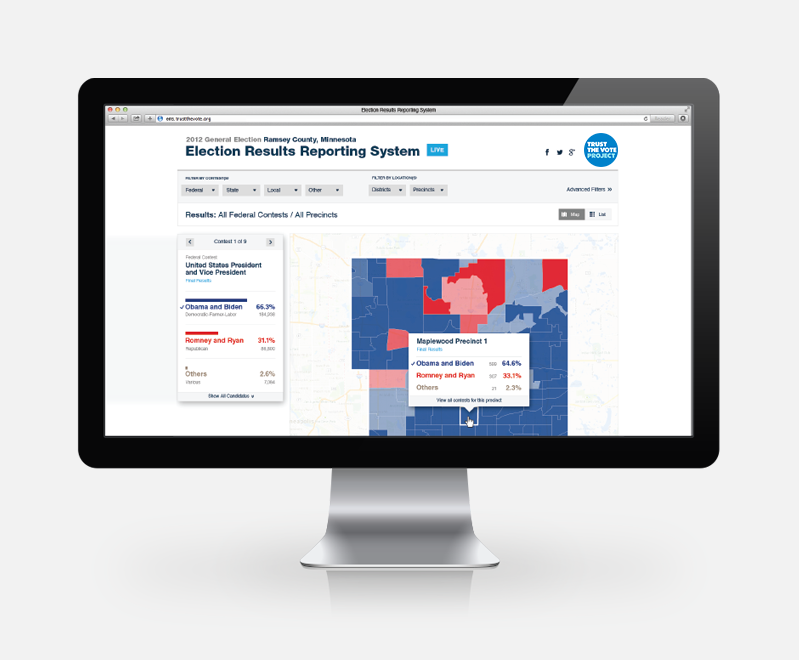 VoteStream is an election results reporting system. The goal of VoteStream is to make election results for every contest in every jurisdiction in the country—down to the precinct level—publicly accessible to all citizens, anywhere, in near-real time. VoteStream is part of a larger project—TrustTheVote—that is re-imagining how we vote in the United States. The TrustTheVote Project is developing a set of open source election technologies that are up-to-date, complete, and trustworthy. 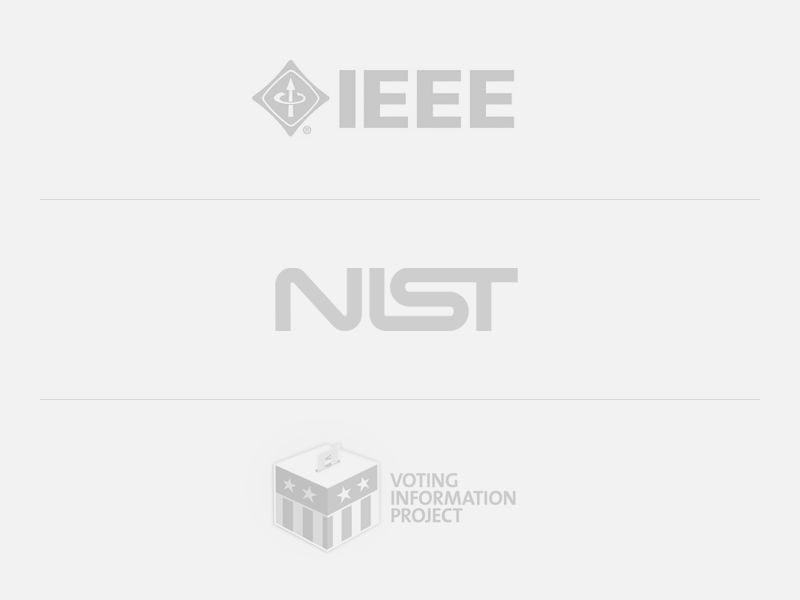 We are working with the Open Source Election Technology Foundation to document and design components in the TrustTheVote Election Technology Framework. The Framework provides an architecture for a complete system of election technologies that can be freely adopted, adapted, and deployed by election officials across the country. 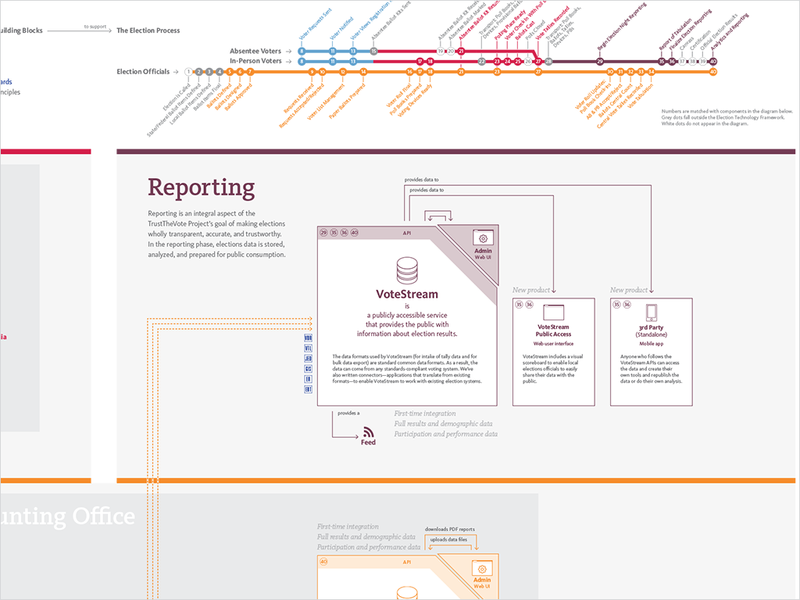 Read the VoteStream article and view the TrustTheVote Election Technology Framework concept map.